The German health system is highly appreciated throughout the world, and it is sought after abroad because of its high standard of knowledge. In German hospitals, you will experience the best treatment options and therapies: Health tourism in Germany means medical care based on state-of-the-art medicine with best medical products, extraordinary technical equipment and innovative surgical procedures. The advantages of getting medical treatment in Germany, Austria, Switzerland or Spain include the consultation, medical care and surgery by internationally reputable experts because the formation and training of the medical specialists are subject to particularly strict regulations in these countries. A medical doctor is, for example, obligated to continuously undergo further training in accordance with the latest science. In Europe, strict hygienic regulations must be adhered that result in comparatively very low infection rates. In addition, you can count on the optimum therapy for pain and the best possible care after your surgery. With us as partner for your medical treatment abroad, you put your health in experienced and trustful hands. We take care of the complete process of your treatment abroad. We have been optimizing the linguistic, cultural and medical procedures for decades on behalf of the hospitals. 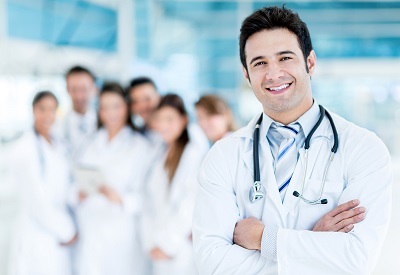 We manage the medical contact with hospitals that are especially well suited to your finding. We organize the examinations, treatments and surgeries of foreign patients in the best hospitals in Germany, Austria, Switzerland and Spain, and we offer you short waiting times for your treatment appointment. Additionally, our comprehensive platform provides you with the necessary transparency that enables you to compare quality, performance and costs. We handle your request free of charge and present to you the best possible options regarding the medical quality for your personal finding as well as for your personal and financial well-being. We spare no effort in also organizing for you other services. Our service package includes everything you need for your trip and your medical treatment: We translate your documents, organize an interpreter for the medical consultations, and we take care of your visa, flight, hotel bookings and local transfers. During your stay, you always reach one of us via our emergency telephone at any time at day and night. You can place a first inquiry that is free of charge and non-binding by entering your diagnosis, disorders, preferred hospital and your destination area. We will translate your request, data and documents at no charge and seek the best offers for you. Every request is free of charge and will be handled as quickly as possible. The more detailed and comprehensive your request is, the better we can react to it. Together with your request, you can send us all your findings in written form and as images. We will prepare them for the German doctors at no charge. If you do not have findings or if they are not accessible to you at the moment, you can, of course, also contact us at any time. We will get back to you by phone or email in less than 24 hours on weekdays. Once we have received your inquiry, you will get a confirmation of the receipt of your request. Then your data are surveyed in strict confidence and in compliance with the applicable German data protection law, and they are processed, analyzed and translated for the physicians. After that the doctors and clinics can be contacted with the material that we carefully prepare for you. All people involved (employees of Junisa, interpreters, medical staff, etc.) are bound by medical/patient confidentiality. Junisa searches for those hospitals and doctors that are best suited to your particular case and your individual diagnosis. The choice of clinics and physicians is made by our experts that all have many years of experience in this area. Our experience of 20 plus years, our thorough research regarding ideal and modern treatment methods as well as our long-term collaborations with the best clinics of the country allow us to choose the optimum solution for you. Our case managers usually already know – after examining your documents – which physician can treat you in the best way and offer you a medical appointment as soon as possible. Once the appropriate hospital has been contacted, the contract is concluded. We want you to be up-to-date regarding the whole process from the beginning, and we guarantee you full transparency. Therefore, two different contracts will be concluded with us: on the one hand, an agreement (independent from us) between you and the hospital in which you want to be treated. It includes the payment of all your medical treatments. On the other hand, a service contract between you and us will be elaborated, which includes the support by an interpreter, an organization fee as well as required additional services. Many hospitals in Europe insist that their foreign patients arrive with an interpreter. 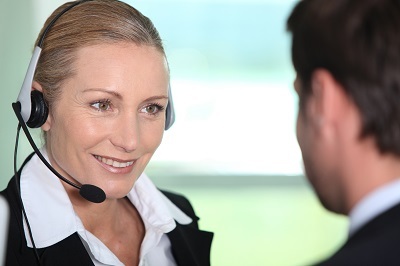 Therefore, we provide you with interpreters that can be booked flexibly on an hourly basis for medical appointments. All agreements and offers are translated for you into Russian. At this point, it also starts for you: Together we will organize your medical stay. We arrange for you all appointments in our clinics, we organize the required medical referrals, help you book your flights and accommodation, pick you up from the airport and organize accommodation for your family. It is especially important to us that our patients always feel well taken care of and comfortable during their stay abroad. For your medical care, we offer a one-to-one support by our experienced interpreters who are specialized in medicine. This service can be flexibly scheduled according to your needs. During your treatment, an interpreter will accompany you to all important rounds and appointments. 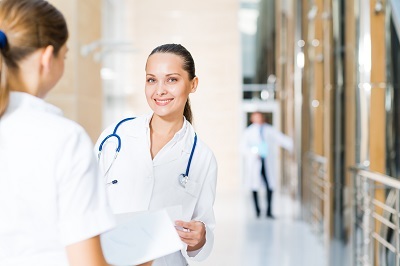 Upon request, your interpreter will wait for you in the recovery room, so that the communication with nurses and doctors does not represent an obstacle at any time – just as you please. You can reach one of our employees via our emergency telephone at any time at day and night – 24 hours a day, seven days a week. 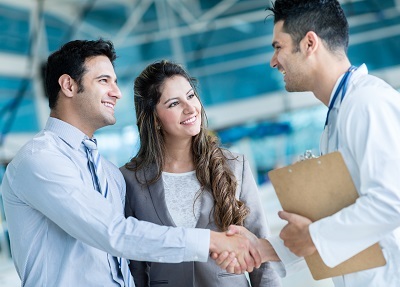 As soon as all your documents are complete, your attending physician will invite you together with your interpreter for a meeting to discuss the entire procedure, medication and possible preparations for the operation. On request, you are picked up from your hotel by one of our interpreters, or you meet in the hospital. In the clinic, your interpreter helps you fill in the anamnesis form (medical history). 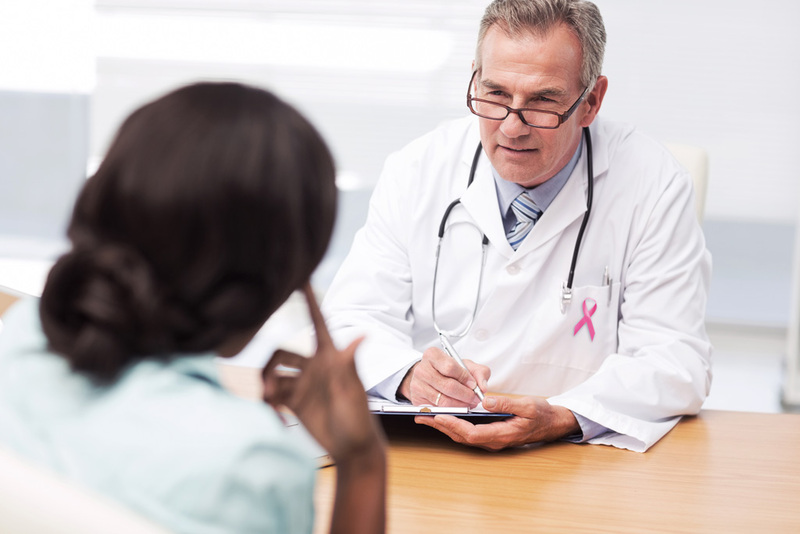 Immediately afterwards, your attending physician will receive you and take the time to answer all your questions. Normally, the doctor will require additional medical examinations (e.g. 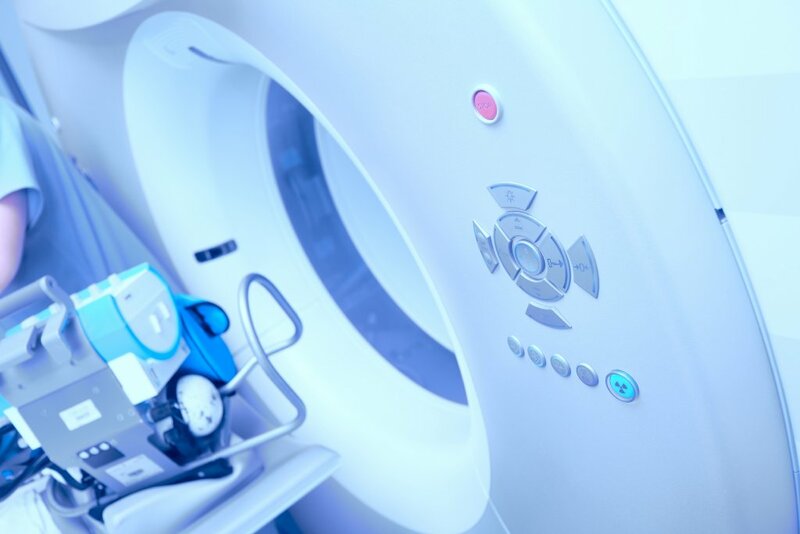 Magnetic Resonance Imaging (MRT), X-ray examinations, laboratory tests and blood tests), that are mostly performed on-site and quickly. You have the opportunity to order all prescribed medicines immediately and to have them delivered to your hotel. For Customs or larger amounts, we will issue a corresponding accompanying letter for you. If you get surgery, we take care of all preparations for the operation. Our interpreters accompany you and your family and help you with all formalities, and with signing all documents. After surgery, our interpreters will accompany and look after you during the entire inpatient stay, i.e. during rounds, physiotherapy, rehabilitation and other check-ups. If you have suddenly a pressing medical question for the doctor or the medical staff and your interpreter is not in the clinic, a patient manager of the Junisa office will take care of it by phone. Before you leave, we will organize your follow-up appointments and make sure that all your questions were answered. And we will give you your translated findings. After the medical treatment, you receive all your doctor’s certificates, findings, diagnoses and medical reports translated by us. Even after the stay abroad, we help our patients remember in good time their follow-up appointments. We prepare follow-up appointments or send the necessary drugs directly to your home. Our invoices are carefully revised by us after completion of treatment and having discussed it together with you. This ensures that you only pay for the services and treatments you really received. All inquiries will be treated in strict confidence and in compliance with the applicable German data protection law and medical confidentiality. We are legally obliged to maintain the confidentiality of the information that our patients entrust us with. Our invoices and bills of hospitals and attending physicians are prepared for you in a transparent way by reviewing every single invoice together with you. When you pay your medical treatment, we insist that this is done in accordance with the contractual arrangements directly to the hospital where you got your treatment. However, if you have paid too much, the difference will be refunded promptly to you. We also always refer in a transparent way – and before the treatment starts – to possible additional costs that may arise from additional tests or extended operations. But sometimes, additional costs can arise if, spontaneously and intraoperatively, an unforeseen extended operation becomes necessary. This may happen during surgery if the need for a surgical intervention is clearly evident and if there is no evidence that the patient would have decided differently. Even in such cases, we will provide you with information and assistance at any time.